eXert POS is a system suited for online and offline retail chains of restaurants, hotels, fast food chains Etc. eXert POS system replaces a conventional cash register. Besides recording transactions, a POS accepts credit and debit card data, usually with a bar code, tracks inventory and in depth reporting. Exert provides the luxury of retail sales with feather touch merchandising. Retailers may utilize weighing scales, scanners, electronic cash registers, POS terminals, touch screens and any other wide variety of hardware and software available for use with our POS. 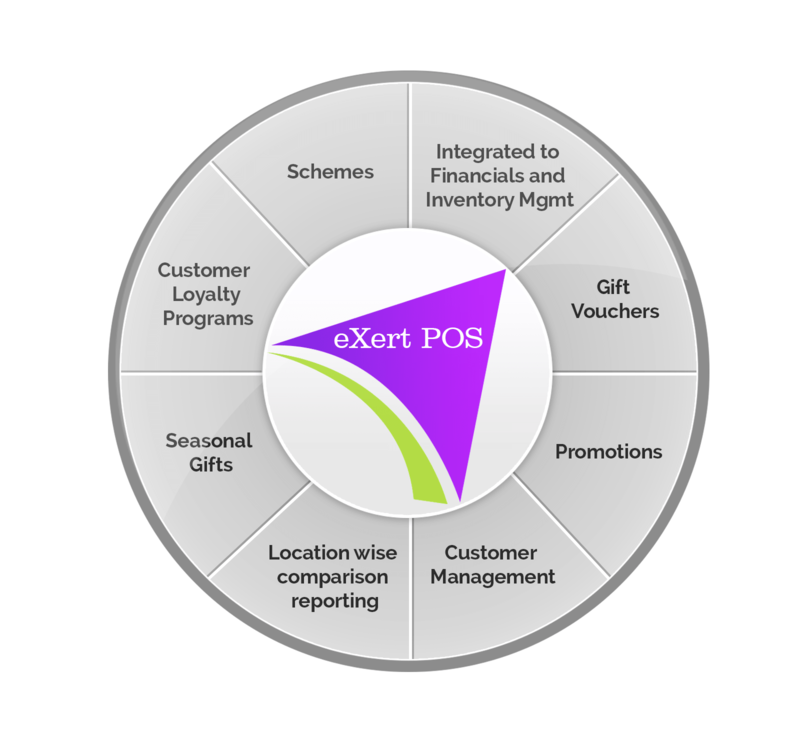 At the point of sale, eXert POS would take charge of the retail calculation based on the particular set of rules and components defined to achieve the best break even through customers based on the region, location, season, coupons Etc., eXert POS will make the retailing and merchandising experience a new paradigm from the conventional to the new era of computing. 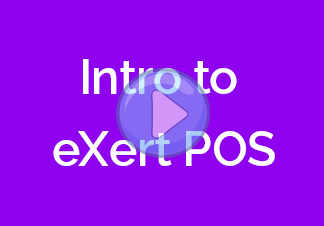 eXert POS Suits online and offline retail chains stores ex: Restaurants, hotels, fast food chains Etc.eXert Point of Sale system replaces conventional cash register. eXert POS accepts credit and debit card data and records transaction. IT tracks inventory and records employee selling hours. eXert POS provides the luxury of retail sales with feather touch merchandising. eXert POS is used with weighing scales, scanners, maintains End of Day (EOD) summary on multiple parameters POS terminals,touch screens. eXert POS System is a centralized billing system with retail installation facility. At each level of sales eXert POS uses accelerated sprint and flexibility integrated to enable sales tracking. It focuses on region, department, location branch, etc. eXert POS system reports retail information and provides pricing details. Safety standards are used to negate malpractices in trade. Uses online connectivity and centralized server, giving updated results. EXert POS improves efficiency by using updated technologies. Provides accurate and timely reporting of data. Increases customer satisfaction by reducing back office operations. Enhances Security and fraud control. Uses login based restriction in order to give access rights. Applying Customer Discount automatically from Customer Setups. Item Images concurrent on every scan of the item. Exceptional Listings like Voids, Discounts, and Refunds etc.